When I saw the release dates for what was dropping in September, my first thought was this is gonna be a dope month for male R&B with Raheem DeVaughn, John Legend, Justin Timberlake, Jaheim and Ryan Leslie all dropping. But then I had to remind myself that Ryan Leslie isn’t a singer anymore, he’s a MC. And even though this is his 2nd album being a MC it’s obvious that I’m still not used to dude spitting instead of singing. I guess it’s like Lil Fame said “singers wanna be gangstas, gangstas wanna be rappers.” But I ain’t even gonna hold you, R Les is probably just as good (and maybe better) as any of these new school MC’s. So before you think dude’s gonna sound like the next Kobe Bryant (ya’ll do know Kobe used to rhyme right?) and toss this album to the side, slow your roll cause if you do, you’ll be missing out on the dopest album money has in his catalogue. “Carnival of Venice” and “Black Mozart” set the album off and to be honest, both are two of the weaker songs on the album. Not saying they’re wack or anything like that, but compared to the rest of the album these are the two songs get skipped the most. Plus with rhymes like “I’m the black Mozart/I lead these broads 2 by 2 like it’s noah’s ark/you know where I went to school I’m so smart” Les is on his way to the “step your rap game up” section of XXL. Now “Higher” is when the party REALLY gets started and THIS is the banger that should’ve set the album off. “History” is CRAZY with Les opening up about his struggles when he was trying to get into the game, “when I first got started they told me I was retarded/tell me what’s worse, being broke or broken hearted/I was both when my girl left/music was the only dream in my word left/and everything in Sam Ash seemed to tempt me/ran my credit to the ground for a MP.” “Lay it Down” had Ryan dippin’ into his break beat bag and is an all out musical onslaught that lasts for 8 minutes with everything from ill guitar riffs, piano solos and is a prime example of what’s been missing from modern day music for years. “Full Moon” has R Les on his introspective jawn, “She feel to her knees, said the Lord’s prayer/sometimes we test the waters to see if the Lord’s there/they shooting up the schools, we wonder if the Lord cares/divine intervention, wonder if the Lord dares” and “Evacuation” is ANOTHER banger (there’s a lot of those ‘round here) that uses the Main Ingredient’s “California My Way” drum break made famous by Big’s “Things Done Changed.” “Green” has R Les slowing things down with lines like, “I got you under the red lights right now/and that body looking right right now/I bet you I can make those red lights turn green." And with an ill guitar in the background, there's absolutely no way that you won't have flashbacks of some classic Isley Brothers moments. “Bad Chicks” and “I Love It” takes us back to the club and Les ends the album on a dope note talking about heartbreak with “Coke Cans.” But my fave banger on the album is easily “Only the Lonely.” I don’t know if it’s the break, the 808’s, the sample, the piano bridge, the chick with the ill British accent on the chorus or if it’s everything I just named but this banger can stay on repeat with me ALL day…and it has on NUMEROUS occasions. 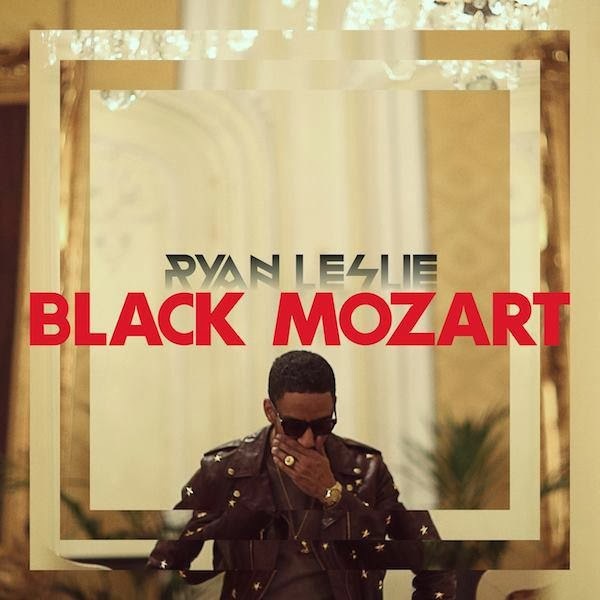 At the end of the day, Ryan Leslie reminds me of a classic pair of shell top adidas. Why? Because as much as I love his music, I know a lot of people who don’t rock with dude like that. The same way that while I love a dope pair of shell tops, I know a lot of folk who don’t. But the dope thing is with Les now having “Black Mozart” in his stash, people should start seeing money like a dope pair of uptowns…and who in their right mind can front on a crisp pair of uptowns?